In my childhood family home there is a door frame striated with dates and names of friends and family. Telling tales of height competitions and a history of tots outgrowing their parents. If my parents ever move we may put the structural integrity of this door way at risk because we WILL be cutting this simple board of memory and taking it. That’s the main reason people love to make their own boards they can take with them from home to home and family to family. The other reason is they can be a personalized and artistic addition to a room or hallway. 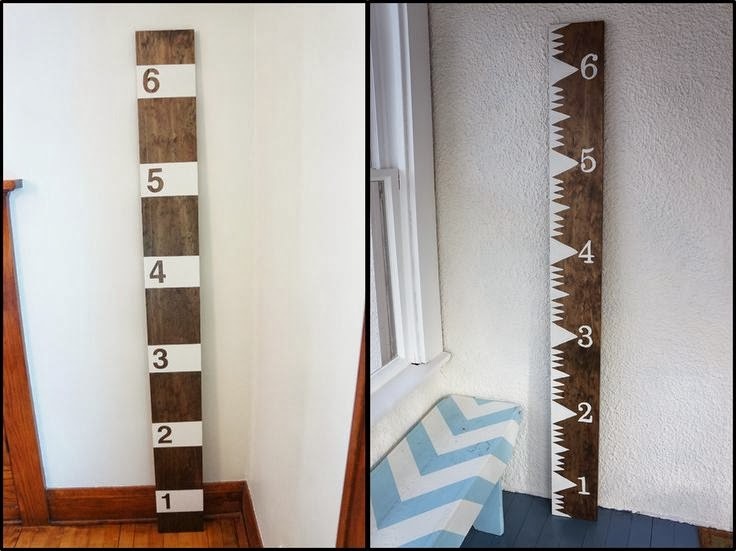 Here are my tips on how to make your own DIY growth ruler. 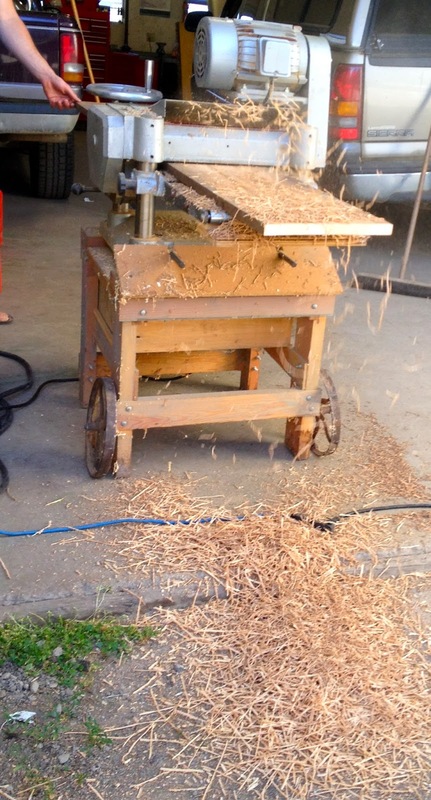 Step Three: Hire the cutest men you know to cut and plane said wood. Step Four: Pay them in kisses and hugs. 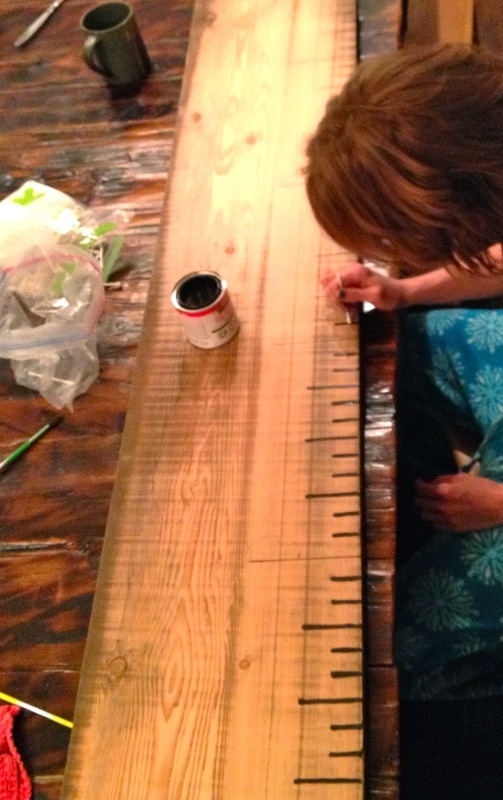 Give the board a light sand with a fine grit paper. 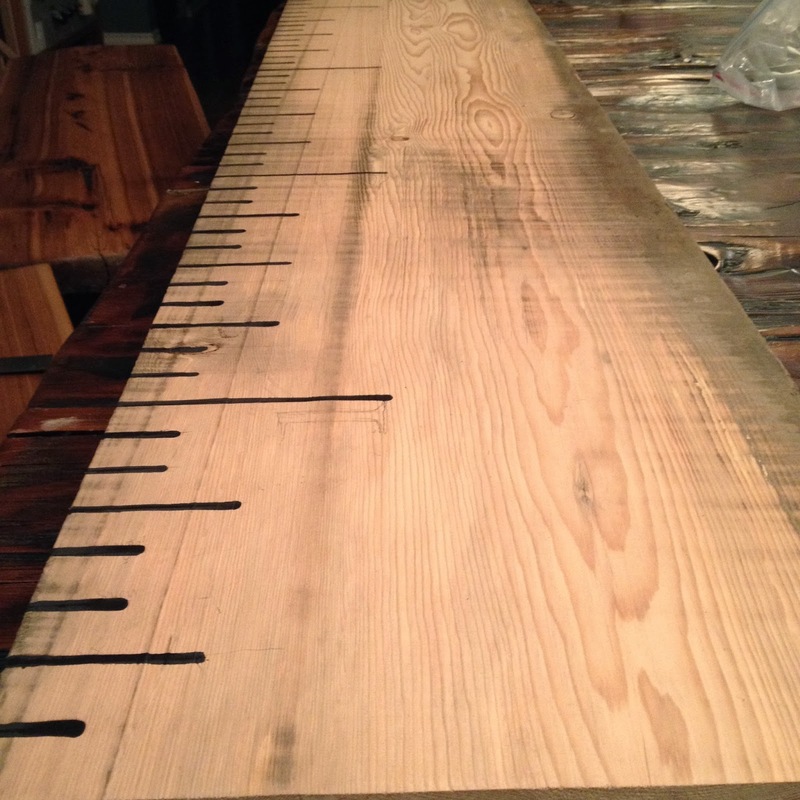 You may choose to stain your board at this point (which most do if they are using a store bought plank). Step Five: Decide the gradation and scale you will use on your ruler. 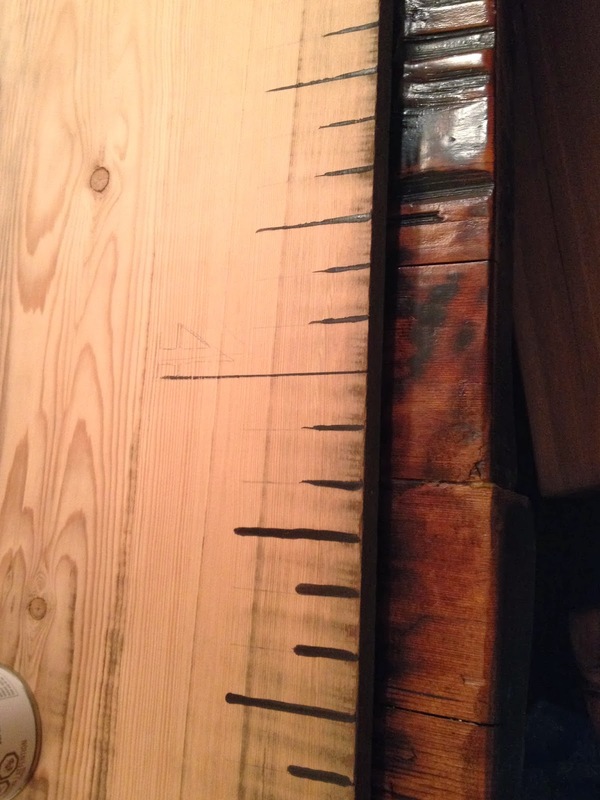 I used feet and inches but I’ve seen some with imperial on one edge and metric on the other. That seemed like too much math for me. 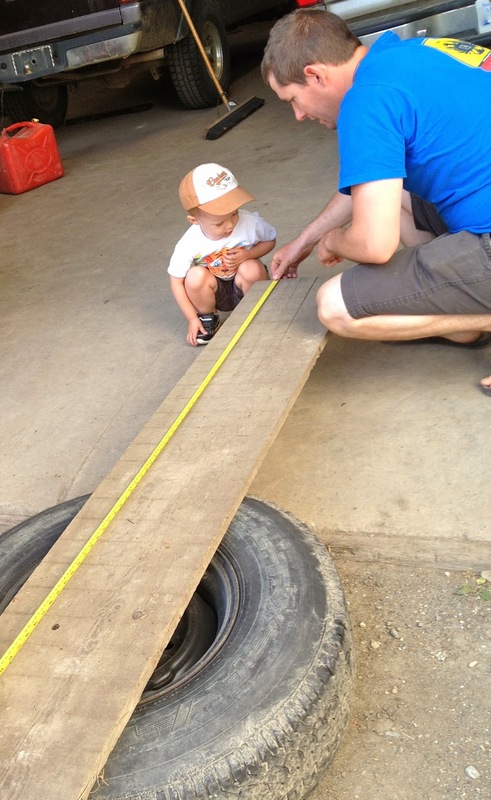 Step Six: Measure the board up against the wall so you know which measurement you will begin at. 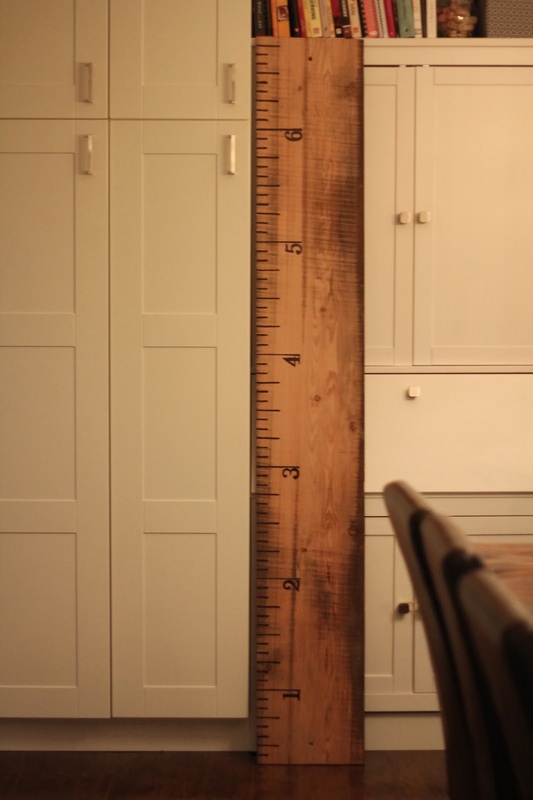 I wanted this board hung just above our moulding so I started at the bottom marking ‘4 inches’. Step Seven: Make all your markings with pencil. I marked every inch line, with the lines longer for inches 3, 6, and 9 and even longer for the foot mark. 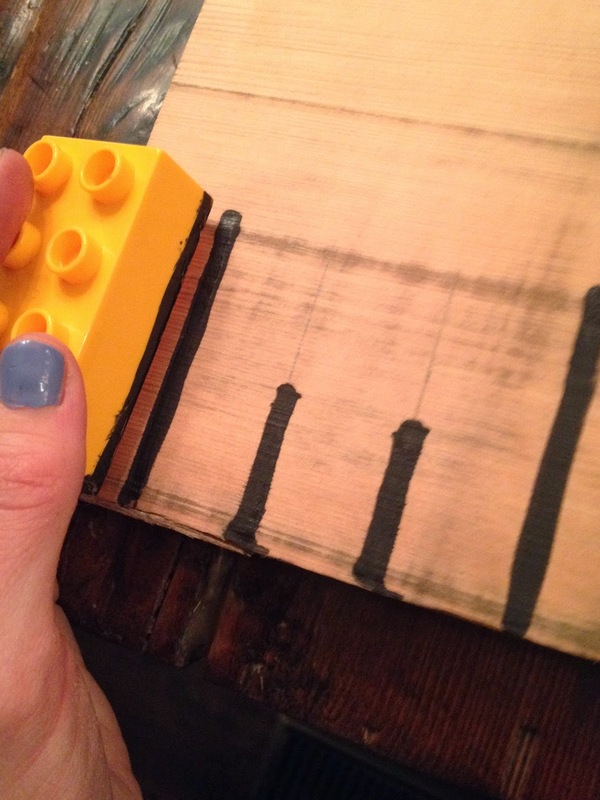 I used a big lego as the guide for line lengths. Step Seven: Go over your marks with a SHARPIE. I made the assumption that using a marker would seep through the grains so I went with some high-heat enamel paint and it was very unforgiving. At first I was painting it on with a fine brush, but it would show every tremble of my hands in the lines and I couldn’t maintain any consistency. So I went over it with a q-tip to have a consistent line thickness and it was leaving a blunt edge at the beginning of the lines. 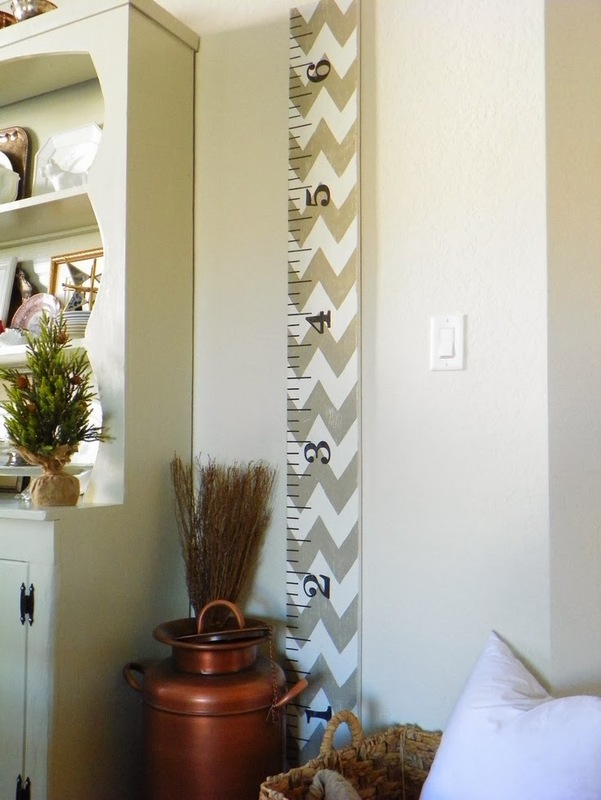 At this point I was googling ‘Growth Ruler Stencils’ on Etsy, ready to hang up my q-tip until my husband said not to give up and to finish with a sharpie. Step Eight: Choose your number font and print them off and trace them onto the board (I made groove marks as a tracer and then went over in pencil). I wanted an old school-house kind of look so I went with ‘Modern No 20’ in font size 200. Make sure you line up all your numbers against the ‘foot’ line with the same spacing so that some numbers aren’t closer or farther from the line. I made this mistake on one number when tracing. 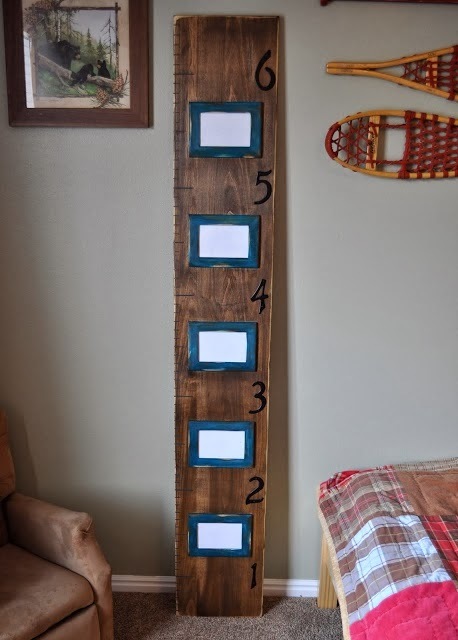 *You can also buy house numbers, craft stickers or use stencils to make the number marks. Step Nine: Go over it all with a fine sharpie and resist the urge to keep going over the lines to perfect the edges or you will end up thickening all the numbers more and more. It’s like the ole crooked hair cuts my parents use to give us and we’d end up with a dumb and dumber bob. Don’t even get me started on the home perms. 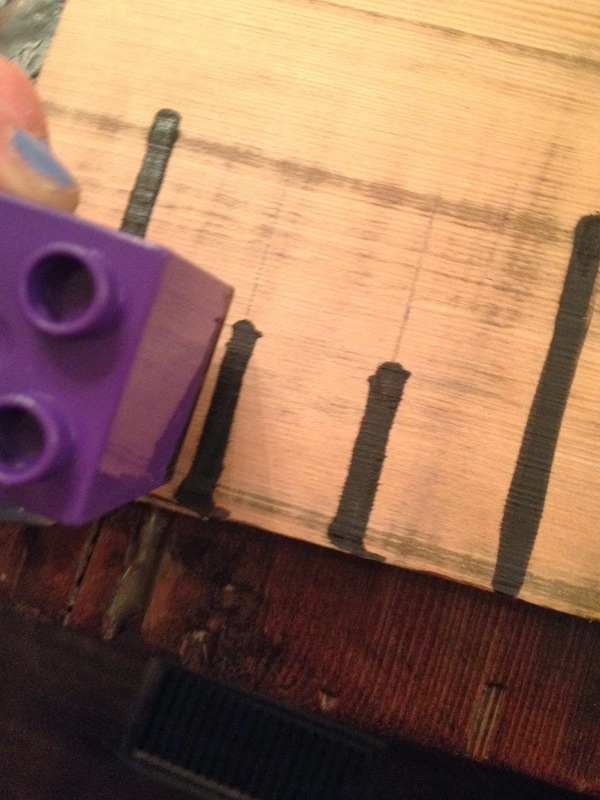 Step Ten: Spray the finished board with a matte clear finishing spray to seal everything in. Step Eleven: Hang it and enjoy as your kids ask to be measured every other day for the next two weeks. buy priligy in uk robaxin get you high Disclaimer: Two legos and 73 q-tips were harmed in the making of this growth ruler. You may wish you would have just bought a custom one of Etsy by the time you are done. Here are some other takes on the growth ruler that I thought were creative.